Figurine stores have started to accept pre-orders for Nendoroid Kazanari Tsubasa from Senki Zesshou Symphogear earlier today. From the anime series ‘Senki Zesshou Symphogear’ comes a Nendoroid of Tsubasa Kazanari, the character who uses ‘Ame no Habakiri’, the first Symphogear System! She comes with three different expressions including a smiling expression, an angry expression and a Swansong expression. Tsubasa also comes with with four different Armed Gears to weild, including her standard sword, large sword, giant sword and leg blades. A Nendoroid-sized Noise figure is also included allowing you to recreate many popular combat scenes from the show! Nendoroid Kazanari Tsubasa is scheduled for January 2013 release, priced at 3800 Yen. 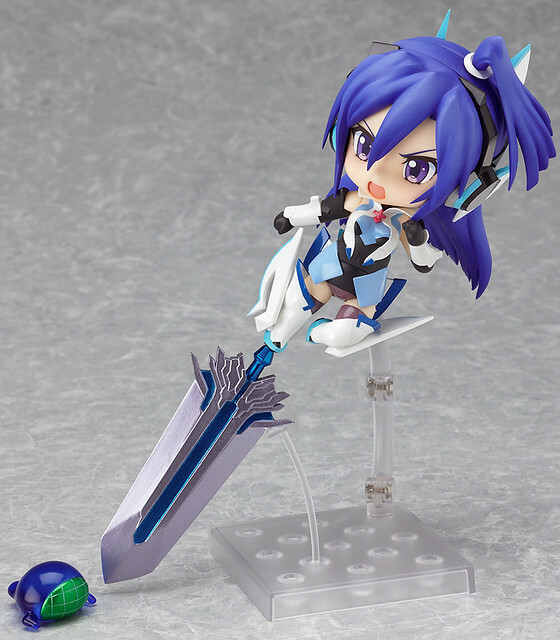 This entry was posted in News and tagged kazanari tsubasa, nendoroid, symphogear.